 San Diego volcano consists of a lake filled caldera (Laguna San Diego) and a stratovolcano Morro de San Diego constructed at the NE margin of the caldera. It is currently not known whether this volcanic system is still to be considered active, and should be included in the GVP's global database of active volcanoes. Note: A volcano with the same name exists in El Salvador. На 5 июля 2013 года колумбийский ученые из INGEOMINAS установлена первая станция сейсмического мониторинга для того, чтобы выяснить, является ли Сан-Диего вулкан потенциально еще активны или нет.